I’m sure everyone has felt the same way about their hometown as I did. I took everything for granted and always complained that there was nothing to do. As I’ve gotten older, I have become more appreciative of the place I grew up in. 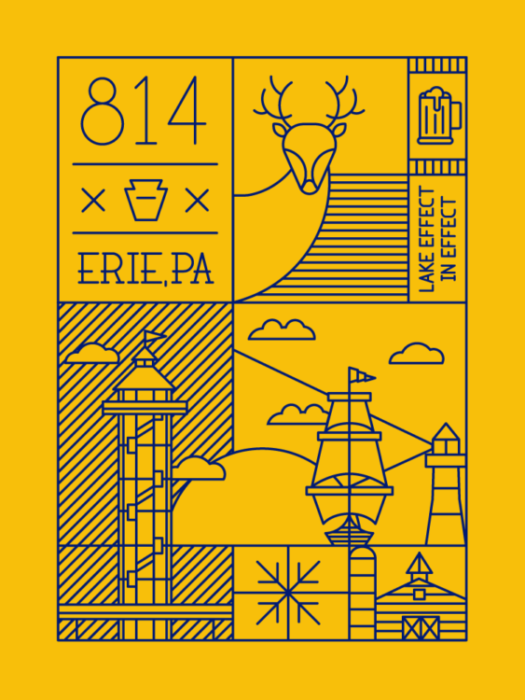 Erie, PA is a small town of about 100,000 people and the 814 area code is the largest in Pennsylvania. Erie is also ranked one of the snowiest cities in the U.S. Now that I live in the city, I miss the lake and all the outdoor activities Erie has to offer. Life moves a little slower there, and I like that.